30lb 7oz first one from new water for Liam. Here's our good friend Wesley Coggeshall, with a scale perfect common. Wesley used a Hinged Stiff Rig tied using a 30lb Invisi-Link boom section, a 25lb Trip Wire end section and a super sharp size 6 Covert Dark Chod hook. 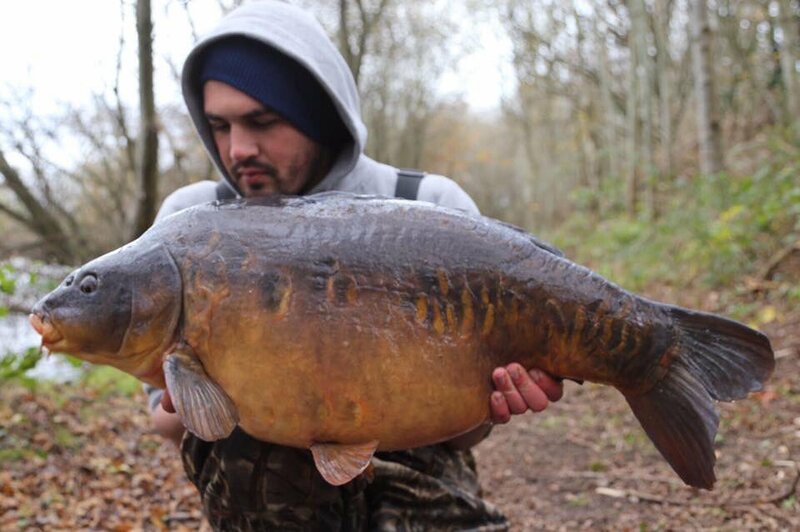 Dan Taylor with a cracking 30lb 4oz mirror. Nice one Lee Paris... "Just thought I share a recent this with you 30lb 10 ounces landed on my 11 ft Surface Creeper what a tool that rod is 👍"
Well done to Gardner Tackle Italia team member Luca Nanetti, who landed this stunning common. A 35lb Camflex Leadfree leader, 30lb Invisi-Link and a super sharp size for Covert Dark Continental Mugga hook doing the business. Another 30 for Ches! Earlier today we reported how Fox-sponsored Ches Boughen had recently banked 30lb+ carp from three different venues, well today he has made it four different venues! Here is a common of 37lb 11oz for tackle shop owner Ches who had this to say "Them edges hooks are something else, incredible is the word." 3 x 30s from 3 Different Lakes! Fox-sponsored Ches Boughen has been having some great success recently including catch 30lb+ from three different waters, with the biggest being a lovely 36lb common. Ches has used a host of our Edges rig components including the new hooks - well done that man! ** Etang Cache Cup Report ** Neil Golden reports back from the Etang Cache Cup - "We managed to get our first choice of peg so confidence was high from the very beginning. Our peg had a heavy snagged area to the right which is known to hold fish. However, most importantly, it also has a big channel in the middle which the fish use to patrol up and down the lake. Our plan was to try and cut the channel off to stop the fish moving out of our area and on to the other competitors. The match was 48 hours so we felt there was enough fish in the area to win the match or at least put up a solid challenge if we could keep them there. Without going in to the technical side any further our tactics worked flawlessly and we absolutely hauled. We had three 40s including a 47lb 8oz common and the rest of the weight was made up by stunning 30lbers." 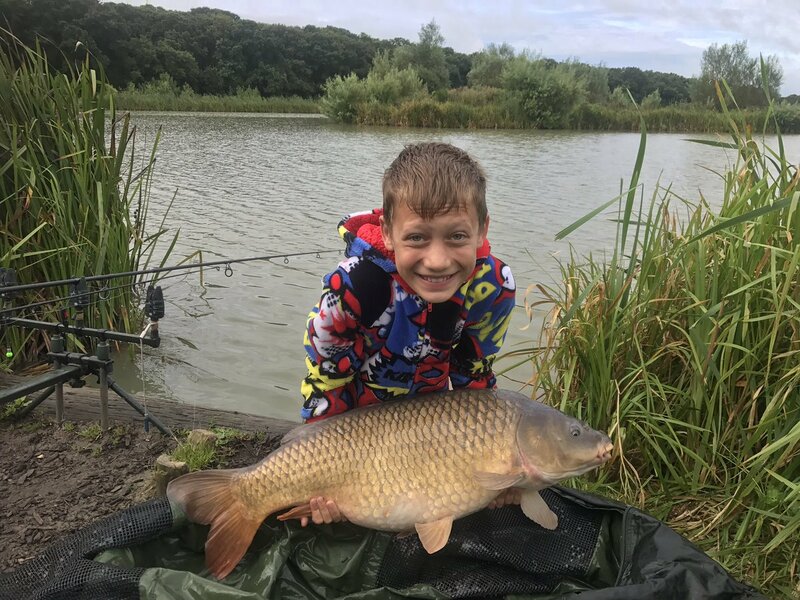 "The other teams round the lake struggled to get on the fish while we managed to keep them in front of us for the entire duration of the comp. We used a mixture of the Key Cray and Scopex Squid boilies sprinkled with the Nash Cray Fish meal and the fish just went wild. When the buzzer finally sounded we discovered that third place was last years winners from France with only 28lbs. Second place was a Dutch team with just over 48lb and we finished on a total of 402lb in 48 hours. After loosing the lead at last knockings to the French last year and to win by such a margin this time made revenge sweeter than a pineapple popup." 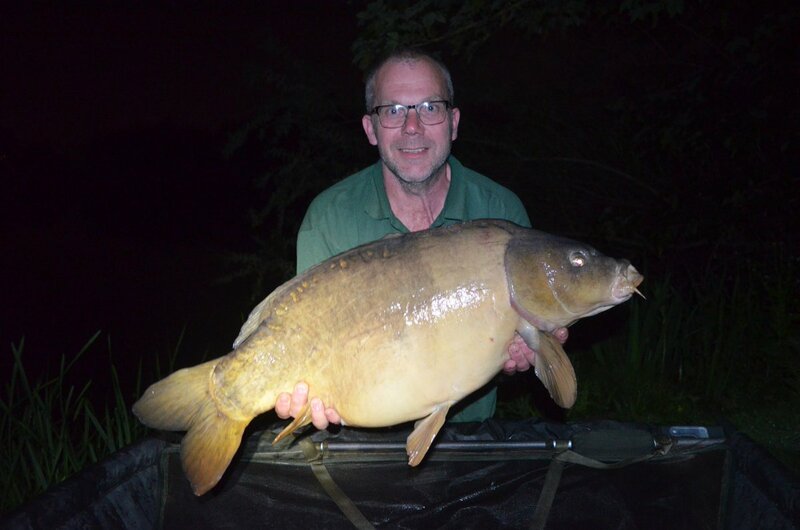 Well done to regular customer Scott Lonsdale on his new PB Mirror of 30lb caught from Oxlease Lake on the Linear Fisheries Official Complex. 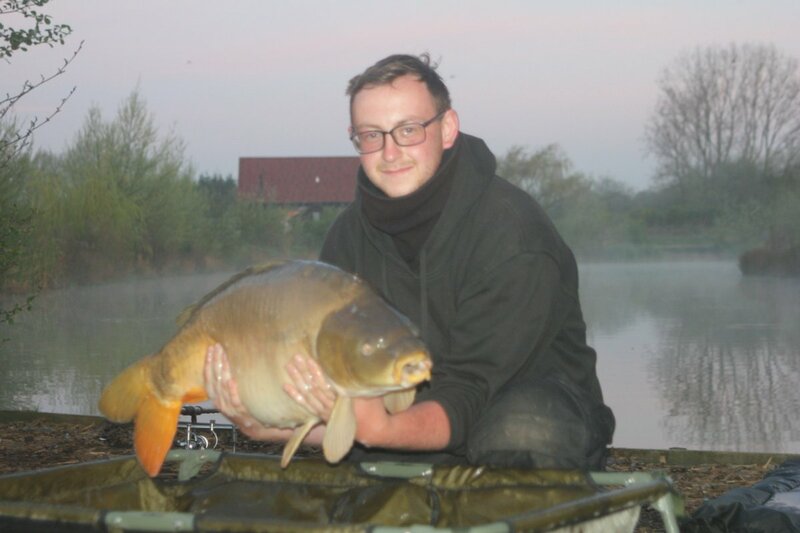 Scott was using our Partiblend with Sticky Baits 12mm Krill Boilies, Aqua Amino and Krill Liquid. He also had a 21lb 8oz mirror, 24lb mirror and a pretty 11lb mirror. Well done Scott keep it up!